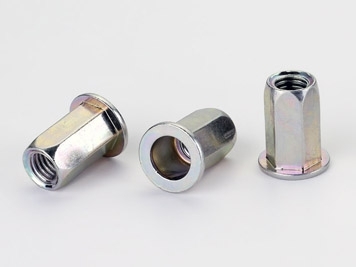 ‧ The NF-M is based on the European rivet nut design that is becoming the global standard. The body sizes fit the hole sizes used in Europe, South America , Japan and Asia. ‧ Sharp corner full hex body for increased spin out resistance when installed in a hex hole. ‧ Available in open and closed end in steel, aluminum and stainless steel. 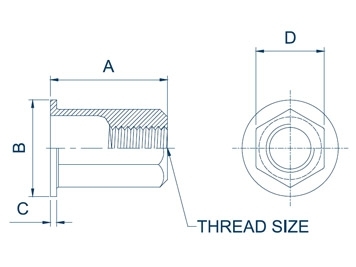 ‧ M4-M8 thread sizes are available. ‧ See page 34 for dimensional data and part numbering.